Something to be scared of? Or hold sacred? Have you ever noticed that certain words hold deeper layers of meaning? At different times, specific words have a way of jumping out and revealing the hidden insights and deeper layers of meaning they carry. The deeper meaning of words is sometimes radically different from how we commonly use them. Alternately, words can hold clues and reveal insights into navigating our spiritual paths and day to day lives. 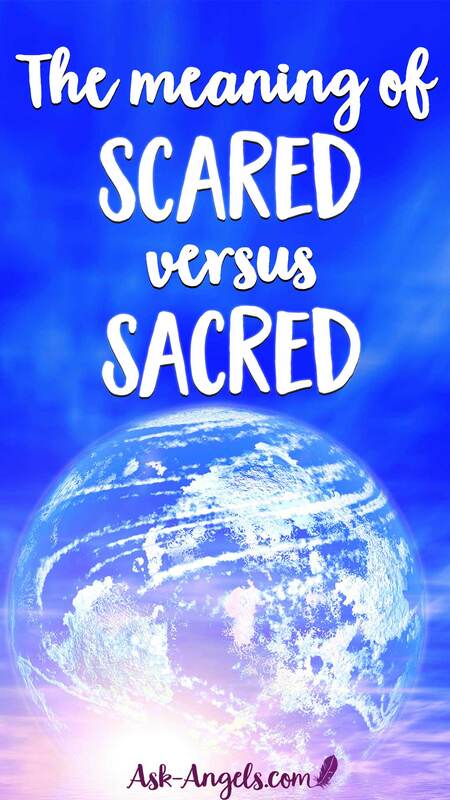 Have you ever noticed how similar the words “scared” and “sacred” are? Only one letter moves between them… And yet we understand their meaning as being entirely different. But are they actually connected somehow? The sacred is what we honor and respect. Which is defined: “to make sacred, to consecrate; hold sacred; make holy, immortalize; set apart, or dedicate. With presence and awareness, we can choose to see every aspect of reality through the lenses of sacred love. Finding and honoring the sacred inherent in every challenge, lesson, blessing, and even within the most mundane and boring tasks. “Scared” on the other hand is said to come from the Middle English word sker which means to fear, dread or shrink from. Fear is an ancient and deeply ingrained survival mechanism. It triggers our autonomic nervous system and our flight, freeze, or fight response. And energetically, fear causes us to shrink and contract. We shy away from our highest light and authenticity and shrink out of our sovereign nature and power. 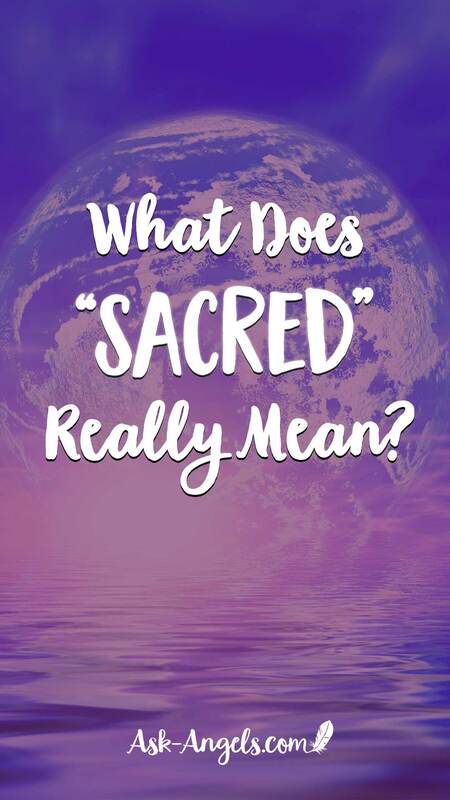 The sacred is what we choose to honor and respect. From within it… We claim our sacred gift. We can then release fear and feelings of being scared. And you can spiral upward into the next level of your highest vibration and the embodiment of your highest light. P.S. 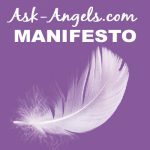 Check out the Newest Angel Solution Sessions for spiraling up into higher levels of your light! How to Start a Spiritual Blog – Spiritual Blogging! Another pair of words has jumped into my mind: “worrier” and “warrior”. I like proverb “If life gives you lemons, make lemonade”. When we turn our worries into the little victories, we move from being a worrier to becoming the warrior and embody Archangel Michael, the Warrior Angel’s, qualities. Strangely enough, two similarly sounding words, completely opposite meaning and yet only one step between them.